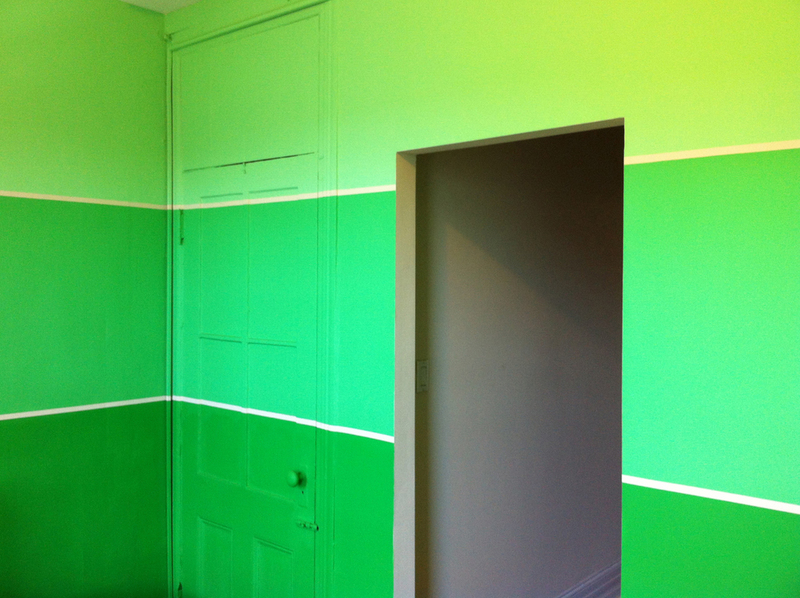 The Gradient room was simply inspired by the inherent beauty of paint swatches. 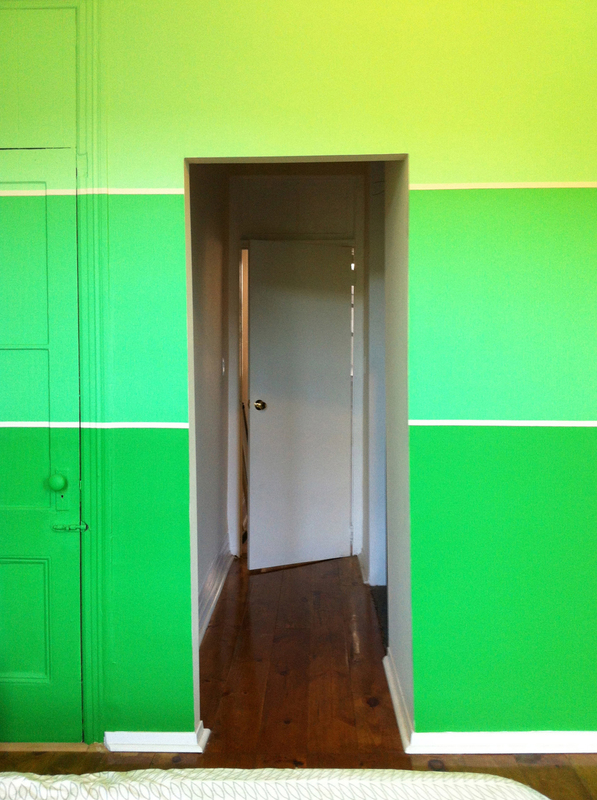 Instead of selecting one shade of green for the space I decided to apply an entire swatch. The translation of the colors is quite literal from the sample and creates a simple transition from dark to light green.